Jessica Powell-James is a member of the Cookshack Competition Team. She won 2014s Cookshack Chicken Wings Contest. We had many entries; all were delicious, but our guest judges chose these Injected Honey Smoked Chicken Wings as the winner by only decimals of points! This recipe also uses three of the four cooking zones (direct, indirect and top rack). Mix 1/8 cup of Butcher’s Bird Booster with 1 cup of water. Using an injector needle, inject one squirt of injection in each chicken wing.Season with Plowboy’s Yardbird rub on both sides, then season with Butcher’s Honey Rub. 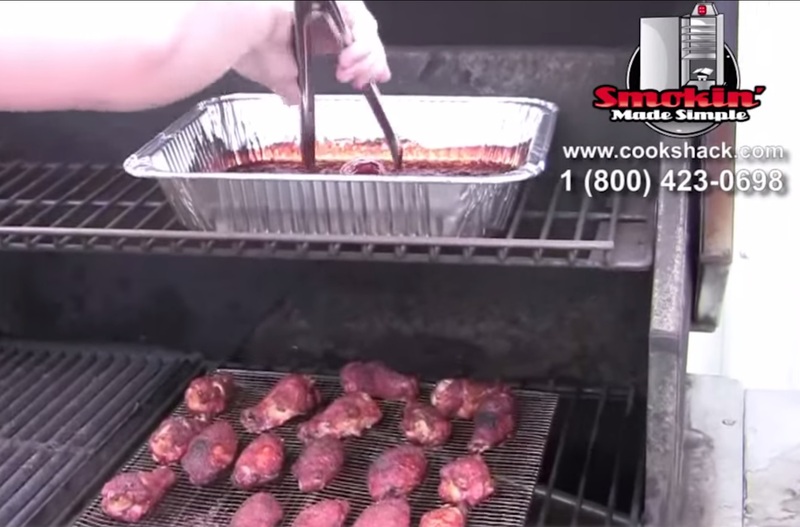 Add the chicken wings to a seafood grill and place on the indirect side of the PG1000 at 400 degrees for 35 minutes. 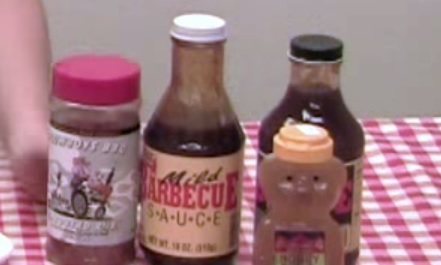 While the chicken is cooking, make the BBQ Sauce. Mix together the Cookshack Spicy & Mild BBQ Sauces, honey and yardbird rub. Stir and place on the top shelf of the PG1000 to heat up until desired smokey flavor is achieved. Dip the chicken wings in the sauce mixture and place on the direct cooking side for 2 minutes. Remove and serve. We hope you enjoy these wings as much as we do! 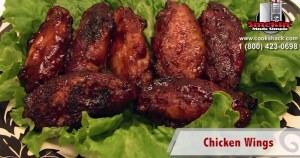 Don’t forget to check out the runner up recipe for PB&J Chicken Wings. #Recipe Try out Cookshack’s favorite Chicken Wing Recipe! Michael Moore liked this on Facebook. Darren Morris liked this on Facebook. Robbie Powell liked this on Facebook.